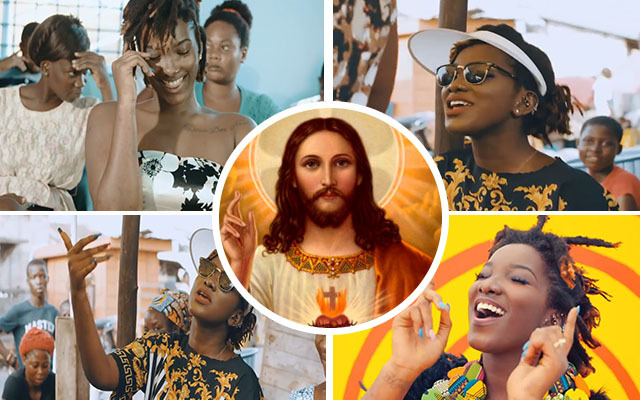 Singer Ebony Reigns has responded to critics of her ‘free the v^gina photo with a biblical reference. According to the singer born Priscilla Opoku Kwarteng, Jesus came to earth to die for sinners like her and not the righteous. Ebony has been trending the past few days, first for her nearly n*de 4Syte MVAs performance, then for a photo from the program which showed off a side of her coochie. She has been heavily criticized for it by all and sundry. Writing on Facebook Thursday night, Ebony responded to the critics by noting Jesus died for the sinners. “Jesus died for sinners like me.lord thank u for loving me#hustle” she wrote. She’s now using Jesus to cover her actions – this gal got no shame!